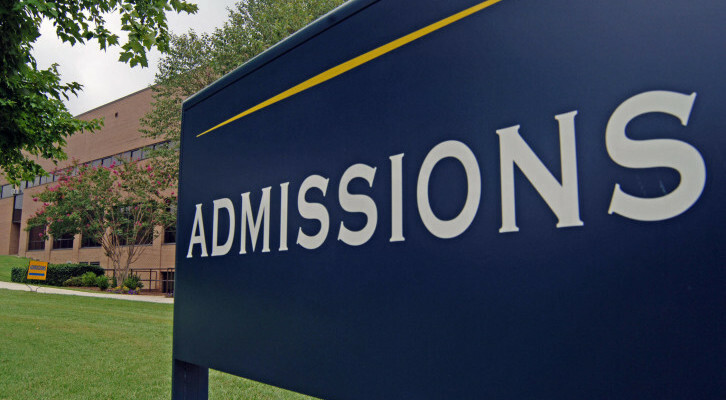 Admissions into IIMs – How important is work experience in getting an admit? There are many versions of this key question. How do the IIMs rate work experience? How much does it count for? All other things being equal, will the IIMs always prefer experienced grads? How much more should fresh graduates score in order to stand a chance? Like many of the research reports, let me start with a disclaimer. I do not claim to have any inside knowledge on how the IIMs process applicants, and most of what I have to say is based on anecdotal evidence. The IIMs most likely do not have a scoring system for awarding points for work experience. It is my belief that the selection committee goes in with an idea of how they want the batch to be structured and conducts interviews with this backdrop. As in, IIM Bangalore might say tell the selection panel, we would like to have around 60-80 fresh grads, 60-80 grads with 1-2 years experience and around 50-60 grads with more experience than that. Based on this, we have called 300 freshers, 300 1-2 years’ experienced grads and 200 very experienced candidates for the interview. So, after this kind of plan is made, effectively, the groups are more or less competing within each other, and therefore there is no way someone can make a statement like “if you have 4 years experience, you can get in with a score that is 1 percentile point lower than someone with 0 years experience”. It is quiet likely that the mean and median score of shortlisted fresh graduates is higher than that of heavily experienced candidates, and this is what we mean by saying that experience counts for something. Does 1-2 years experience count for much? Not really. The guys with less than 24 months of experience constitute a high proportion of any batch, and any experience less than 24 months rarely counts for much. These candidates are unlikely to have picked up any great understanding of either their industry or organizational dynamics to make a huge impact. Does the type of experience count? All B-schools price diversity (some more so than others), so a different profile always counts for something. A lawyer/ doctor always has an edge over a software professional in our country. There is little doubt about this. Will the IIMs shun fresh graduates? Extremely unlikely. No matter which position an institute holds, it will be keen on attracting the best talent available. So, if one IIM shifts towards picking only experienced candidates, then it will effectively lose out on fresh talent. As a talent pool, the fresh graduates compete favourably against other groups. Among the top 10 of any graduating class, one would usually find more than 70% of candidates with 0-2 years experience, with perhaps up o 40% being fresh graduates. There is limited statistical evidence to suggest that fresh graduates do not get value from an MBA. A large number of companies prefer to recruit fresh grads for internships and prefer to select fresh grads for entry-level positions. So, any one IIM, if it chooses to change its profile will end up losing out on talent. So, unless there is a concerted effort from the top 20 B-schools in India, the dynamics cannot change overnight. I think India will slowly shift towards taking in more experienced candidates into their B-Schools. But this shift will be slow and more or less synchronised across institutes. Will personal interview and GD be more difficult for fresh graduates? The short answer is Yes. Fresh graduates have less to talk about themselves, less personal experiences to count on and refer to, will likely have had few opportunities to make presentations to anyone and are generally a little raw. Experienced candidates are naturally better-equipped to handle one-on-one sessions and group discussions. This is why fresh graduates should spend more time preparing themselves for GD-PI and should focus on presenting their case well. If you are a fresh graduate, do not let this talk of experienced candidates standing a huge advantage get to you. You are effectively competing against fellow fresh grads for the seats and in any case, you have likely done better than an average experienced candidate in the CAT exam and that should count for something. If you have 1-2 years of experience, this is not a game-changer, so make sure you have enough talking points about your job. Previous Post:CAT can now be taken through the year – What does this mean?